Naming your Domain. 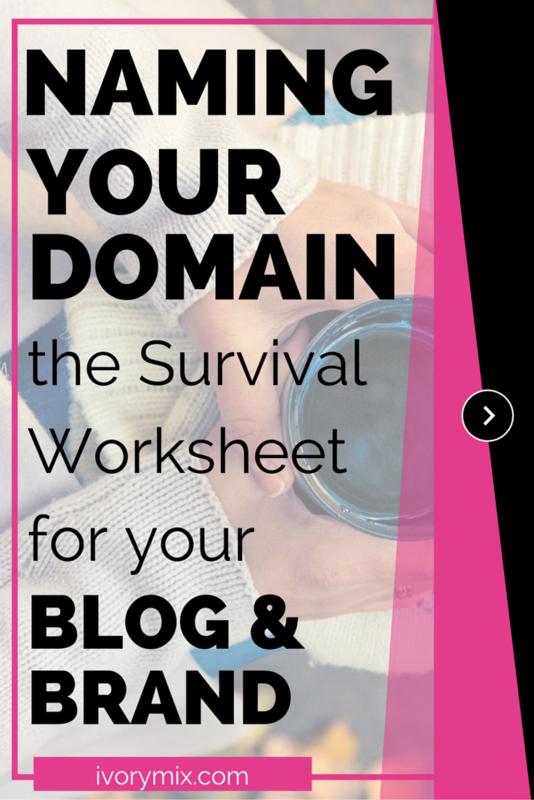 The survival worksheet for your blog and brand. You see, your blog’s name is the beginning of your brand identity. Yep – you’re essentially naming yourself. I don’t mean to mention the B word so early in this blog post, but that’s why you see a lot of bloggers using their own name as their blog’s name, because they want you to think of them when you type in that .com or .net. You’re technically already a unique little brand in your own corner of the world. In your career life, your school life, your family life, and even around strangers. You already stand for something (maybe many things). These things make up who you are and define that first impression, like the one made with the grocery store clerk when you bought all those pumpkin spiced pop-tarts last thanksgiving (yeah you), or what the Manager experienced sitting across the table from you when your phone rang during your last interview. It’s not just the bad habits, but it’s also your red hair, your freckles, abilities with a camera, your posture, how well you can cook, the handwritten Christmas cards you send every year, and so on. I can feel it – you get it now. These things all make up your existing brand and identity. So, I’ll ask that annoying little question again; who are you and where are you going? The really important thing right now is not exactly who you are today, but who are you going to become and the goals you have for your future after creating this blog. Let’s curb those questions for now and revisit them at the end of this post, because we’re going to get you brainstorming your brand identity and after the next few steps, you may just change directions. So, what is a domain name and why do I need one? First and foremost, it’s your brand, but there are other things to consider when picking your domains name. For instance, it’s a good idea to keep it short and simple – like 15 characters or less. Think about it and name some of the websites and blogs you visit most often. Are those easy to remember? I would be willing to bet so. I’ll name a few I have saved in my shortcuts. See the trend? They’re all short. Facebook isn’t www.aplacetomeetyourfriendsandfamily.com for a few reasons and the length is one of them. I’d say that if you’re website is over 15 characters (and it’s not your name) then you’re not trying hard enough OR you’re trying too hard! Quit that and don’t do it. Start creating a list of ideas. 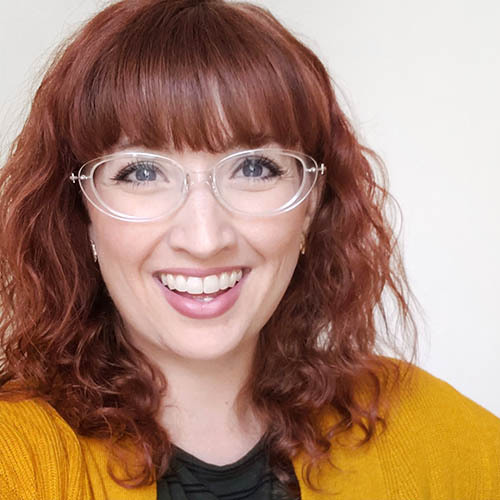 You’re not going to just come up with one domain name idea and think “AHA – that’s it!” No, I came up with 20 something names before I found the one that felt like me. You’ll probably come up with at least a dozen good combinations of words or single words that describe exactly what you want, and then comes the next hurdle. Researching if it’s available! Oh boy, it’s hard to find available domains if the idea is generic and simple enough for a brand. I can’t count all the names I came up with on both hands because I’d be left with no more fingers to count with. People buy domains and then never use them or buy domains to resell them and make a profit. So, you’ll find that there are perfectly good domains just sitting there not being used. Some of these cost thousands and some are in the millions. Where can I buy domains? There are a number of places that sell domain names (and hosting – which will be covered in my next post for Week #2 of 52). As a beginner, you will want to find a place that can sell you a domain for not only a great price, but that offers you reliable hosting. I’ve purchased and hosted different websites through both GoDaddy and Bluehost. If you’re just not raring at the bit to start yet but you want to snag your perfect domain now and worrying about hosting later, go for it! It’s not expensive to do and you can get it hosted at any time. How much do domains cost? It could cost you $15 dollars and up a year (every year from here on out). Yes, you have to renew your ownership of the domain annually. When I first wanted to get into blogging, I thought $2-$5 a month was a great deal for owning a website, but it wasn’t until I got serious and got my debit card digits out that I realized you pay for a year upfront and all at once (and typically combined with hosting costs too), which comes to about a $70-$100 total upfront cost. I know that for a lot of beginners who want to start blogging and monetizing won’t like the thought of spending up to $100 on your first day. The thought of forking out a chunk of change before you even really get started might seem ridiculous, but you need to start treating this like a business. However, if you don’t want to monetize or make money from your blog, then you are probably just fine getting a free blog from wordpress or blogger because you might not mind if the domain is (yourname).wordpress.com., but if you want to make money and offer services through your blog, the real and legit deal is going to be found by purchasing a domain name and having it hosted. If money is a problem, start pinching your pennies now. Put your extra dough aside, sell something – just find a way. If your one of the few that can’t get past this step then I’d start thinking that you don’t want it bad enough. Sorry. This probably comes off as a tad harsh, but the reality is you are likely wanting to start this blog because you desire more from yourself and your life. You want to follow your true passion and live the life you always wanted to live. Who wants to be under the 9 to 5 control of someone else? We all desire personal freedoms of some kind. Don’t let yourself feel like $5 a month is going to break the bank anymore! Show it to yourself and put your money where your mouth and your dreams are and just do it – find a way – make it happen. DOMAINS TIP! Don’t forget to park your social media accounts! If you have a pulse then you probably already realize this, but one of the best ways to get the word out about your new blog is through social media. If you haven’t bought your domain name yet, then you’re not ready to post on social media, but you will be soon and considering this is your future biz, then you best not post from your personal facebook account! Seriously, don’t mix the two. That said, social media accounts need to be created to match your brand and domain name too. When you do your research, you’ll want to check if @(yourdomainname) is available on twitter, Instagram, and etc. Then go ahead and create those accounts when you buy your domain so that their fresh for your future sharing! What are some tools I can use for picking domains? 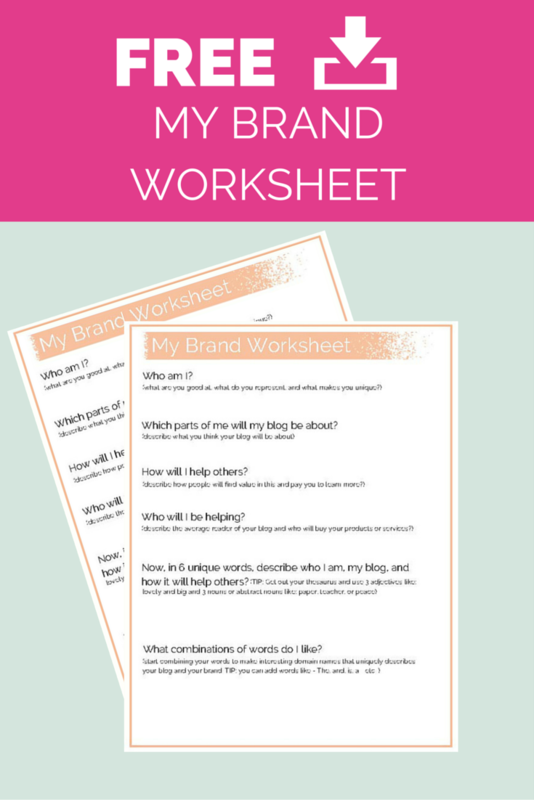 Get the free worksheet printable I created just for you and your naming task! Now, let’s revisit our first questions: Who are you, what do you represent, and where are you going? NEXT UP: Week #2 of 52 is all about hosting your domain. Kim! 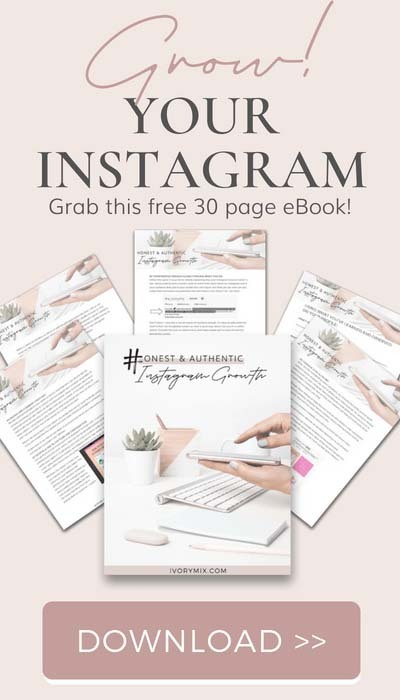 it’s not the end all be all rule and I personally think your blog’s name is super cute and if it makes you truly feel something more than any other option – you can make it work! ultimately, it comes down to what moves you! If you’re excited about it, you can probably sell it – and if that’s the case, I tell people to just go for it. Where there is positive energy, hard work and focus, good things happen. I agree with all of this! I ultimately picked my domain name, Mommy Gone Tropical and I was shocked that it wasn’t already taken. I agree that you should be self-hosted if you are into blogging because I have read so many stories about how bloggers regretted not going self-hosted in the beginning. Yeah, naming my domain was pretty intense and then one day I woke up feeling like a maniac and the name cookingmaniac.com popped into my mind and that was that. When it’s right – it’s right! OMG it was sooo hard to come up with my name! Omg this is my issue; I’ve bought my name, and two other domain names, and am so stressed because I’ve waited 17 years to do this & I’m so passionate about it! I believe God takes people out of your life for a reason, & I live alone, both parents died since 2011, my ex filed for divorce, took residential custody of my kids, they were/are alienated from me, three friends died, & I’m disabled. But, I have to get the word out on how to make your child’s IQ potential increase! I reorganized my own child’s brain! I know this sounds incredible, but it’s true. Due to my own 22 hours of brain surgery at 15 years old to remove an AVM, creativity is something I’m not very good at! 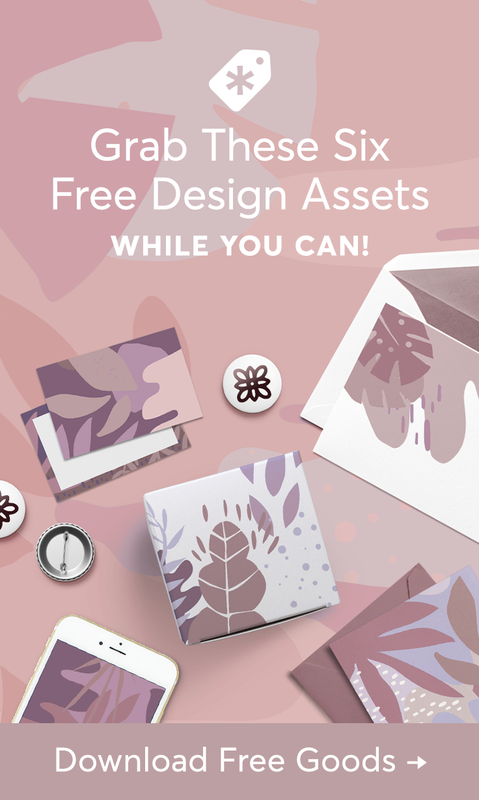 FREE STOCK PHOTOS & MORE! 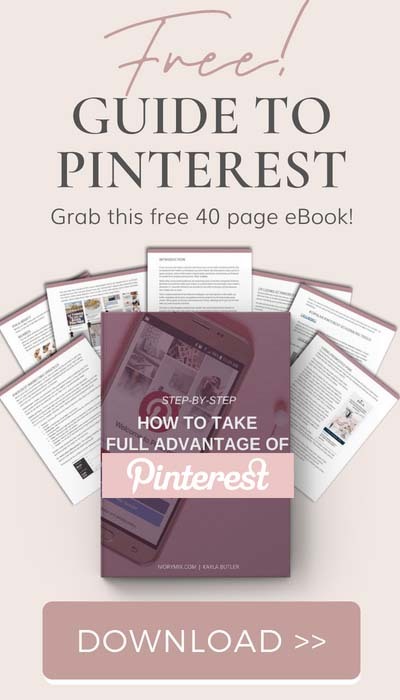 Get your hands on 550+ FREE Styled Stock Photos, eBooks, Tutorials, regular updates & More!